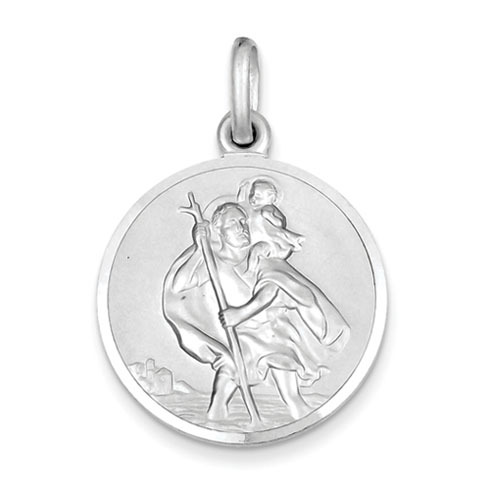 Diamond-cut sterling silver St. Christopher pendant has a satin finish. Item dimensions: 1in x 1in without bail. This item is the size of a quarter. Weight: 6.8 grams. Made in Italy. My husband never takes his chain and medal off. We liked the medal because there were no words on it; just the design of the Saint. It came in quickly and I would order from your website again!! It was exactly what was advertised. I am very happy with my purchase and would buy from Joy Jewelers again.